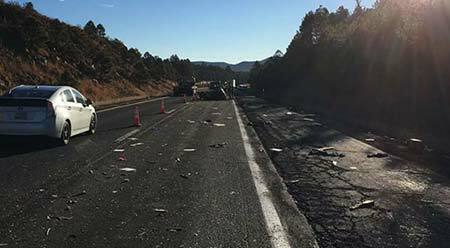 Flagstaff, Arizona—An unidentified ten-year-old girl was killed when the vehicle in which she was a passenger rolled off the roadway after it was rear-ended by a semi-truck. 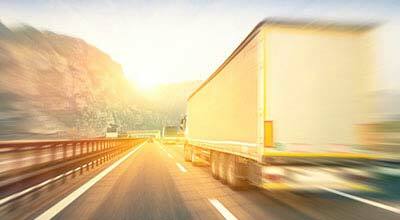 According to Arizona Department of Public Safety accident investigators, a semi-truck rear-ended an SUV that was towing a trailer on eastbound Interstate 40 between Flagstaff and the town of Williams. The trailer and SUV became detached, causing the SUV to roll off the roadway. The young girl was transported to Flagstaff Medical Center where she later died. Traffic was restricted to one lane. No other injuries were reported. The DPS investigation continues. We extend our condolences to the young girl’s family and friends over this terribly tragic loss.